Well, December is upon us, which means we’re going to get a truckload of films aiming for the big awards and Green Book was one of my most-anticipated. Tony Lip (Viggo Mortensen) is a bouncer at a night club, struggling to make ends meet for his family. 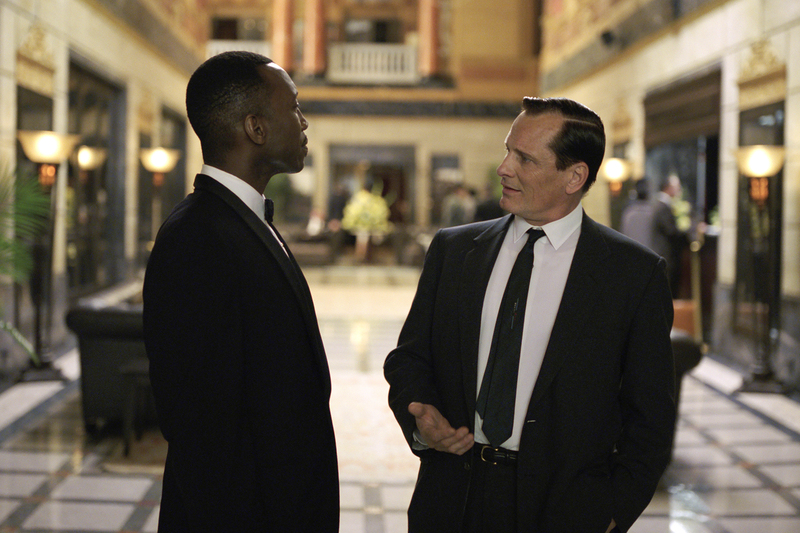 A mysterious new benefactor named Dr. Don Shirley (Mahershala Ali) arrives and offers Tony a job, driving him through the deep south and protecting him while on a concert tour. This movie is set in the 1960s and Dr. Shirley, an African-American musical virtuoso, must confront racism in all sorts of forms, while Tony also confronts his own biases. We also have Linda Cardellini as Tony’s wife Dolores. 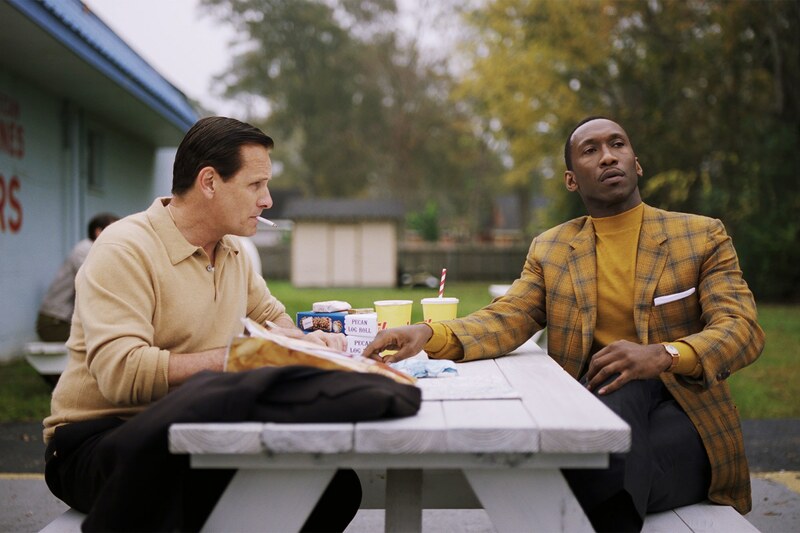 Green Book is one of the most pleasant movie experiences I’ve had this year, in a flood of generic 3-star films. It is refreshing and unique and manages to find an incredible balance of fun and humor, right alongside some intense moments and uncomfortable conversations. The crux of this film and why it works is the two incredible talents of Viggo Mortensen and Mahershala Ali, proving here that they’re both powerhouses in this industry and some of the best working actors in the business. I’ve seen a fair share of films starring both men and what they offer up here is unlike anything I’ve seen from them before. Viggo is the character that folks will talk about, as he’s the comedic backbone but only because how accurate his character feels. His Tony Lip is crude and loud and doesn’t understand some of the finer things that Dr. Shirley introduces him to. He is the character that’s been dialed up to 11 and is sometimes quite ridiculous, though completely authentic. He is the actor that people will talk about first. But Viggo’s performance alone couldn’t hold this movie. It would feel like an outlandish comedy. He succeeds because of the success of Mahershala Ali’s performance, which is muted and quiet and subdued, though still just as authentic. His Dr. Shirley is torn, disassociated from his black roots but unwelcome in white culture, where he performs for the richest of the rich but still can’t sit and eat in the same room as them. His performance is heartbreaking as he feels like a stranger everywhere he goes. Together, these two come together to form a duo that will be remembered in cinematic history, two heavy hitters delivering some of their best performances, only successful because their partner is also giving it their all. Now, a great performance (or two) doesn’t always equate to a great movie. Luckily, director Peter Farrelly creates an incredible film here. He’s known for slapstick comedies like Dumb and Dumber and There’s Something About Mary, so it’s a bit of a shock that he delivers this sort of heart. 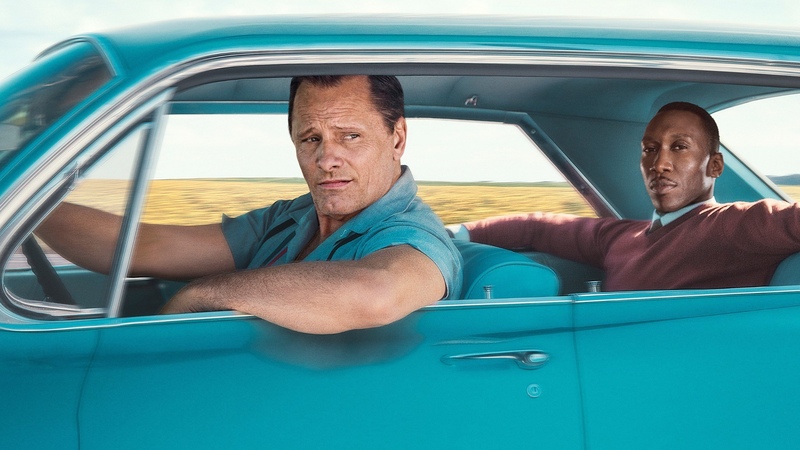 He perfectly tackles the darkest parts of this movie but also allows both Viggo and Mahershala to be funny, to give us comedy gold, and maybe his experience with comedy is what makes this movie so unique. You’ll laugh a lot in this film. I laughed more than I did while watching most of 2018’s biggest comedies. Yet you’ll also tear up, at least I did. It’s a perfect pairing of tones that is incredibly difficult to balance yet they pull it off here. This is the peanut butter and jelly of cinema. I had an absolute blast here and it did everything that I wanted it to, and more. No complaints, no concerns. Both Viggo Mortensen and Mahershala Ali should be, and probably will be, nominated for major awards. This movie, if all is right in the world, will be nominated for Best Picture. For a movie about racism in the deep south during the 1960s, this is a comedy, yet the heart and soul of this movie is strong, giving us a combination that should please all audiences and shouldn’t be missed. This entry was posted in 5 Stars, Movies and tagged 1960s, biography, biopic, dr shirley, green book, i am your target demographic, iaytd, linda cardellini, mahershala ali, movie, movie review, movie reviews, movies, racism, review, reviews, tony lip, viggo mortensen. Bookmark the permalink.